Great Quality as expected from a Bosch product. Majority of new cars are equipped in flat wiper blades. Windscreen Wiper Blades 28"23". Wiper Style: Flat Aero. WIPER BLADES. Quantity Included: 2 Wiper Blades. RANGE ROVER. LAND ROVER. MOTGUM's wiper blade ensures. PEUGEOT 407 (2004-2011) Windscreen Front. Majority of new cars are equipped in flat wiper blades. 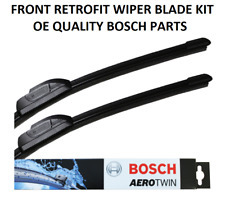 Aero Flat Wiper Blades 28"28". Wiper Style: Flat Aero. WIPER BLADES. Quantity Included: 2 Wiper Blades. Vauxhall Windscreen Bottle Cap. All Part Numbers Used are for Reference Purposes only. Great Quality as expected from a Bosch product. The　Passengers Side is a BOSCH Super. 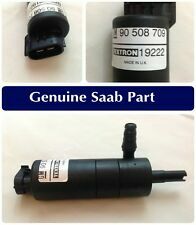 VOLVO S80 I 2004-2006 Front Pair Aero Flat. Majority of new cars are equipped in flat wiper blades. Windscreen Wiper Blades 24"21". Wiper Style: Flat Aero. WIPER BLADES. Quantity Included: 2 Wiper Blades. CITROEN NEMO 2008 Front Aero Flat Wiper. Majority of new cars are equipped in flat wiper blades. 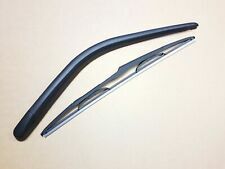 Windscreen Blades 26"19". Wiper Style: Flat Aero. Quantity Included: 2 Wiper Blades. WIPER BLADES. RANGE ROVER. SUBARU Impreza I GC 1992-2000 Front Pair Aero. Wiper Style: Flat Aero. Majority of new cars are equipped in flat wiper blades. Flat Wiper Blades 21"18". Quantity Included: 2 Wiper Blades. WIPER BLADES. Length: 475mm. WIPER BLADES. Windscreen Position: Front Both. All cheaper oils and the 'synthetic' component of part-synthetic or semi-synthetic oils are hydrocracked mineral oils. 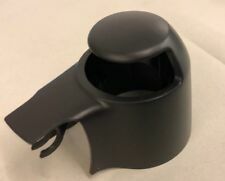 Profile: Curved Wiper. A triumph of engineering design, DENSO’s Flat Wiper Blades hug every windscreen closely and evenly to wipe away rain and debris in even the worst weather conditions. Using a full synthetic oil may help to reduce oil consumption if a mineral or semi-synthetic oil is being used. SEAT Alhambra 2010 Front Pair Aero Flat. Majority of new cars are equipped in flat wiper blades. Windscreen Wiper Blades 28"16". Wiper Style: Flat Aero. WIPER BLADES. Quantity Included: 2 Wiper Blades. MITSUBISHI ASX 2010 Front Flat Aero. Majority of new cars are equipped in flat wiper blades. Windscreen Wiper Blades 24"21". Wiper Style: Flat Aero. Quantity Included: 2 Wiper Blades. WIPER BLADES. LAND ROVER. F IAT Grande Punto 3 2005-2012 Front Pair Aero. Wiper Style: Flat Aero. Majority of new cars are equipped in flat wiper blades. Flat Wiper Blades 26"15". Quantity Included: 2 Wiper Blades. WIPER BLADES. 1 Series (E81 / F20). 7 Series (E38 / E65 / E66 / E67). Washer Pump. 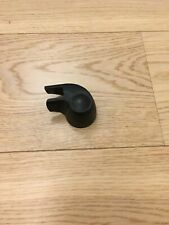 This is a Single Outlet Pump. 8 Series (E88). KIA Carnival 2006-2014 Front Pair Aero Flat. Majority of new cars are equipped in flat wiper blades. Windscreen Wiper Blades 26"18". Wiper Style: Flat Aero. WIPER BLADES. Quantity Included: 2 Wiper Blades. RENAULT Koleos 2008 Front Pair Aero Flat. Majority of new cars are equipped in flat wiper blades. Windscreen Wiper Blades 24"19". Wiper Style: Flat Aero. Quantity Included: 2 Wiper Blades. WIPER BLADES. Length: 280mm. WIPER BLADES. TOYOTA COROLLA Verso (ZDE12_ CDE12_) 1.8 VVTi All-wheel Drive 99 10.2001 - 02.2004. TOYOTA COROLLA Verso (ZDE12_ CDE12_) 1.4 D4d 66 09.2001 - 05.2004. TOYOTA COROLLA Verso (ZDE12_ CDE12_) 1.4 VVT-i 71 01.2002 - 05.2004.